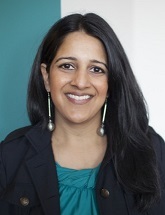 My name is Renee Jain (pronounced Ree-knee Jane) and I’m the chief storyteller here at GoStrengths! Many of the scenarios you find within the program are based on the challenges I faced while growing up. I learned much later in life that people do indeed understand what kids go through when they feel anxious, depressed, misunderstood, or just plain stressed out. I learned there are effective methods to cope with problems and increase one’s resilience. I also discovered beyond the capacity to survive, it is possible to learn how to thrive. Happiness is a skill which can be practiced, and life can offer deep meaning, purpose, and joy. With the help of Neutrino, I hope to take the lessons I have gleaned through my personal and professional experience and pass them on to as many other humanoids as possible! Renee Jain has a Bachelor of Science degree in Finance from the University of Illinois at Urbana-Champaign as well as a Masters of Applied Positive Psychology from the University of Pennsylvania. Renee is a tech entrepreneur turned positive psychology practitioner, author, and professional coach specializing in teaching resilience and happiness skills to tweens and teens. Renee has personally coached over 5,000 people on how to effectively integrate the science of resilience and happiness into their lives. Learn more about Renee here. GoStrengths! programs have been developed by a dedicated team of mental health practitioners, animators, and professional storytellers. The organization thrives on passionate team members who continually innovate methods to deliver cutting-edge scientific principles to kids in a way which piques their engagement and capacity to learn.